Hero Dogs places service dogs with veterans and first-responders with disabilities. We also place facility dogs with qualified clincians, and skilled home companion dogs with veteran and first-responder families. The eligibility criteria below are for those seeking a service dog. If you are interested in applying for one of the other types of placements, please visit the pages for facility dogs and skilled home companion dogs. You must be a veteran of the U.S. Uniformed Services with an honorable or general (under honorable conditions) discharge. If you are a first responder, you must have an equivalent, verifiable service record. Discharge other than honorable may be considered on a case by case basis. You must be released from all military and reserve obligations. You must have a disability. A person with a disability is defined by the ADA as having a physical or mental impairment that substantially limits one or more major life activities, a person who has a history or record of such an impairment, or a person who is perceived by others as having such an impairment. Your disability does not need to be service connected. We do not require any minimum VA disability rating. 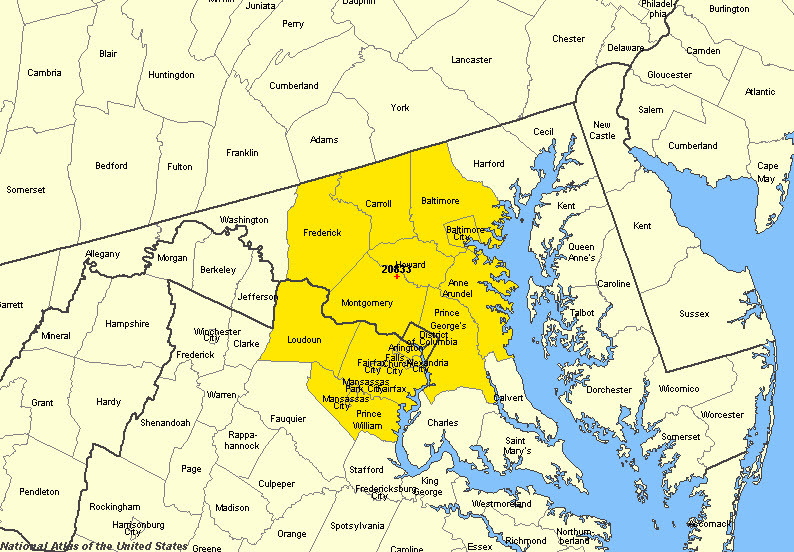 You must live within 50 miles or approximately one hour’s travel time of Hero Dogs (zip code 20833 – click here to see our service area). You must commit to remaining in our service area for a period of one year after being matched with a dog. You must be able to provide your own transportation to Hero Dogs and other public locations for training. 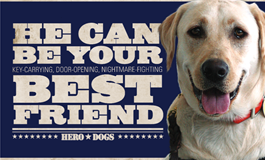 If your disability includes PTSD or any other psychiatric disability, you must be currently in counseling, and must remain in mental health treatment for the duration of your matching and training with Hero Dogs. If you meet these basic criteria, please continue reading below for other important requirements before requesting an application. If you do NOT meet these basic eligibility criteria, please visit Assistance Dogs International, Inc. (ADI) to locate a service dog agency that places dogs in your area or nationally. ADI is a coalition of not-for-profit organizations that train and place service, guide, and hearing dogs. 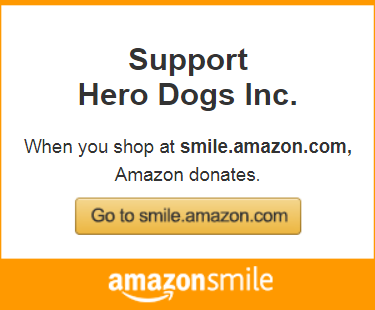 You must refrain from volunteering, donating, or otherwise participating in fund raising or public relations activities for Hero Dogs for at least six months prior to applying. You must be able to meet the physical, mental, and emotional needs of a dog, and have an adequate support system in place to do so when you are unable to meet these needs yourself. You must have the full support of your family (including any caregivers), your employer, and your landlord (where applicable) in your quest to receive a service dog. You must be willing and able to commit to the training program and schedule. You must be able to provide financial support for the dog after ownership has been signed over. Applicants will be considered for partnership with a Hero Dog regardless of race, color, religion (creed), gender, gender expression, age, national origin (ancestry), marital status, sexual orientation, or other categories protected by law. Read our FAQ by clicking here. Read the more detailed description of the training program here. Request an application by filling out our Eligibility Survey. After you have filled out the Eligibility Survey, you will be directed to the application process page to learn more about next steps.